A crazy, racist little fairy tale, Sambo learns to steal from bullies and eat hella pancakes. 1956 - Canada - Removed by the Toronto, Ontario board of education after complaints from several groups that "the popular book was a cause of mental suffering to Negroes in particular and children in general." 1959 - New York - A black resident of New York City challenged the book at a school library, calling it racially derogatory. The book was eventually restored to library shelves. 1964 - Nebraska - School superintendent of Lincoln school system ordered it removed from open shelves due to the inherent racism of the book. The book was placed on reserved shelves with a note explaining it would be available as optional material. 1971 - Alabama - Montgomery schools banned the book for being "inappropriate" and "not in keeping with good human relations." United Kingdom - General attack in schools and libraries for symbolizing "the kind of dangerous and obsolete books that must go." Canada - Hamilton, Ontario teachers ordered students to tear the story from their books; the Montreal-based Canadian National Black Coalition began a war to remove the book from school and library shelves; New Brunswick banned it entirely. Texas - Dallas school libraries removed the book because it "distorts a child's view of black people." Bannerman, Helen. 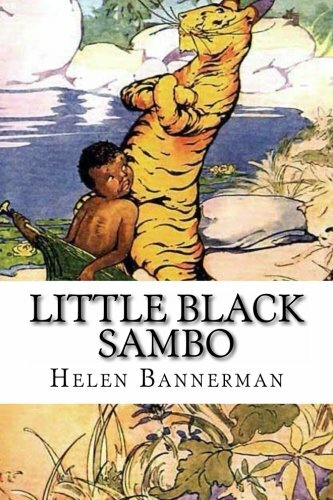 "Little Black Sambo." Applewood Books, 1921. Bedford, Massachusetts.